Are you looking for a smaller dog and considering a Shih Tzu? Perhaps you like the idea of a toy breed dog but are not certain which breed is the right one for you? Well read on to learn more about this little dog and the Shih Tzu traits that you can expect to encounter when you bring him home. The Shih Tzu is a solid little breed, almost like a bigger dog in the body of a toy breed. He is very sweet and quite hardy making him a fantastic family pet that can adapt to almost any lifestyle that he finds himself in. But what exactly can you expect from a Shih Tzu? Here are some common Shih Tzu traits. Many little dogs can be stubborn and the Shih Tzu is no different. He has tremendous willpower and will certainly need motivation to learn, this is not a little dog that will put your desires before his own. However as long as you embrace positive dog training and motivation, which all dog owners should, then he is bright enough to learn quickly and keenly. The Shih Tzu is a generally friendly little dog to familiar people and strangers alike. He, just as most dogs will, needs positive socialization to build his confidence as he grows. Overall the well cared for a socialized Shih Tzu can easily cope in any situation, from school sports to busy dog parks this little dog will cope remarkably well. One of the most useful Shih Tzu traits for people that live a more sedate lifestyle is that this little dog can cope with less exercise than many others. Although he does need a regular short walk the little Shih Tzu will be quite happy at home with his person for most of the day, he can amuse himself with toys or simply soak up the art of being adored. The Shih Tzu does not need to hike around the hills and trails, though he probably wouldn’t say no to that either. His lower exercise needs make him a perfect companion for an elderly person or someone in bad health that is forced into inactivity. As a dog breed the Shih Tzu generally does not yap. If he has developed the tendency to be a bit of a barker this is usually a learned behavior, which needs to be modified, rather than a breed trait. He is usually a peaceful little soul that when socialized properly and positively will be happy to co-exist amongst other pets including dogs, cats and even small furry animals when carefully introduced and observed. The Shih Tzu is typically a non-judgmental dog and is unflinchingly loyal and honest with everyone around him. He has a large heart, a steady yet bold nature and though he can be stubborn at times this little dog is a wonderful addition to any home. In all honesty negative Shih Tzu traits rarely exist when the dog is bred and raised well. The Shih Tzu is a fantastic little dog breed. 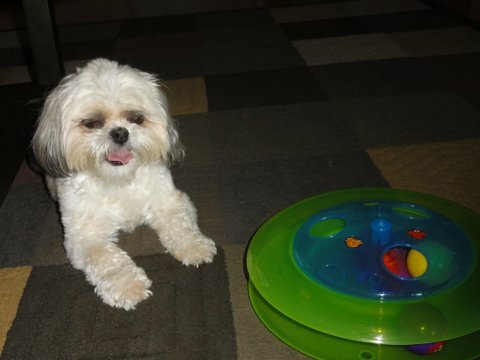 Are you looking for a smaller dog and considering a Shih Tzu? Perhaps you like the idea of a toy breed dog but are not certain which breed is the right one for you?